Hi everyone. 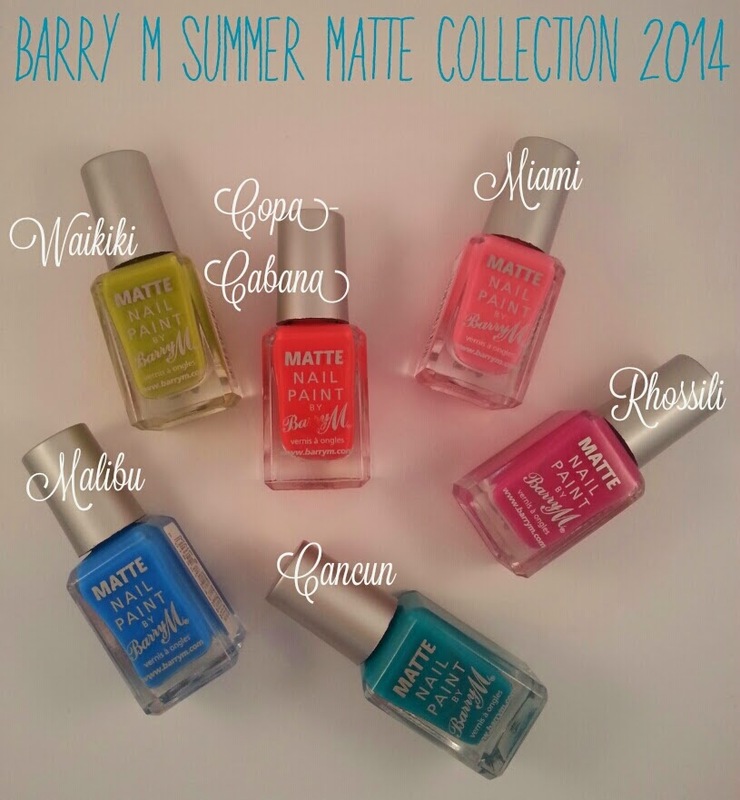 So Barry M announced in the middle of May that they would release a Summer Matte Collection after the massive success of their Autumn/Winter Matte Collection at the end of last year. This new set includes 6 bright and exciting colours of which I do not own nor can I think of any dupes for, yup - the shades are that unique. The first thing I noticed with these polishes is that they are extremely pigmented. 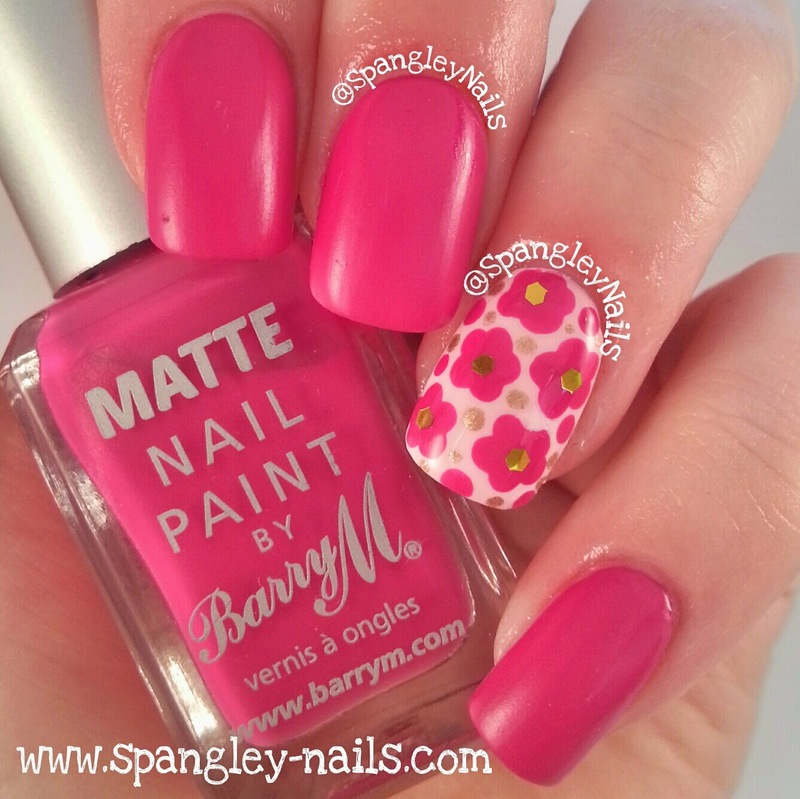 I really would advise you to wear a thick base-coat when wearing these colours for any length of time - just in case! 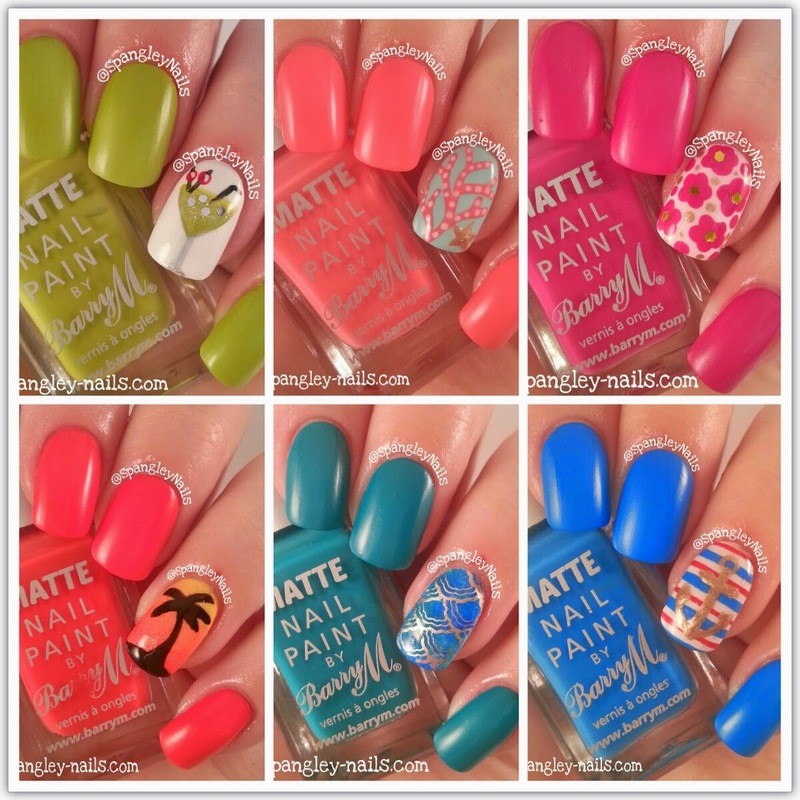 This is a quick snap shot of the 6 polishes - full review on each polish after the jump. The first polish is Cancun, the perfect "Sea Green." 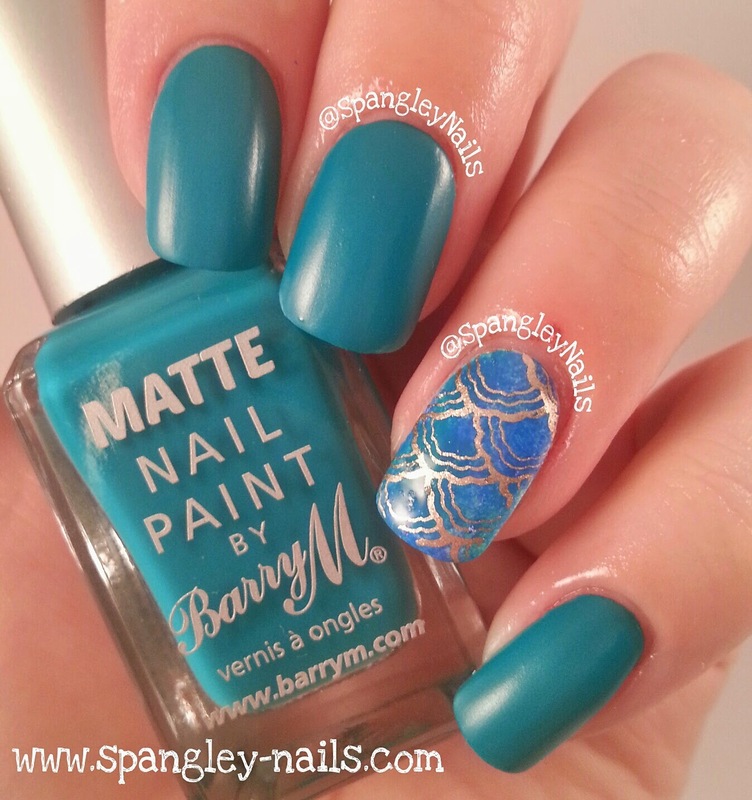 This beautiful teal shade is 2 coats and no top coat. Extremely fast drying, and highly pigmented. Very unusual colour and very hard to capture. Next up is Malibu. 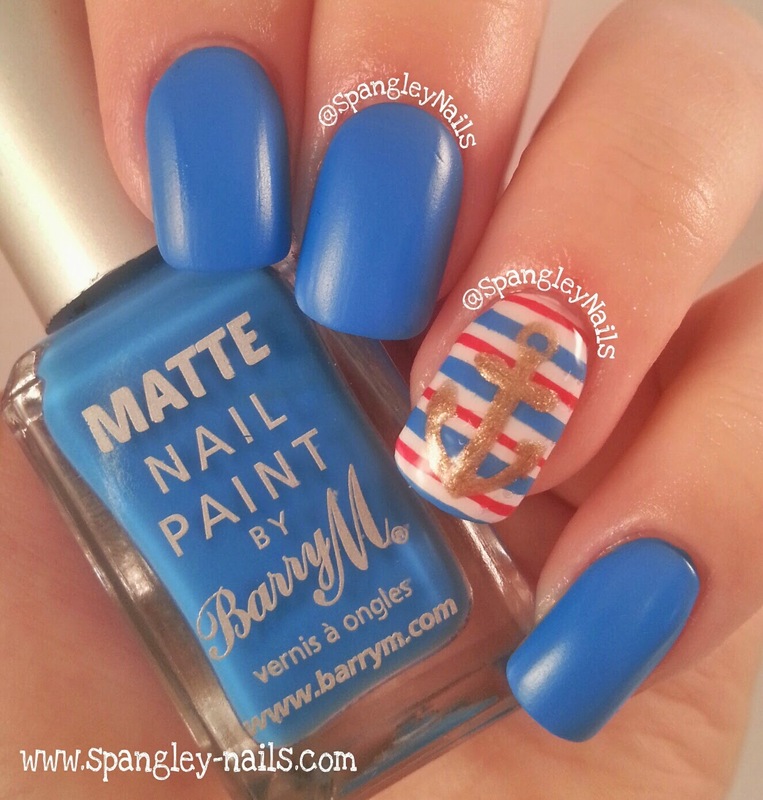 The perfect Nautical and extremely bright Blue. I seen this and fell so much in love, I will buy more as a back up - for sure, it really is amazing. Probably my favourite of the bunch. This is 2 coats, no top coat. 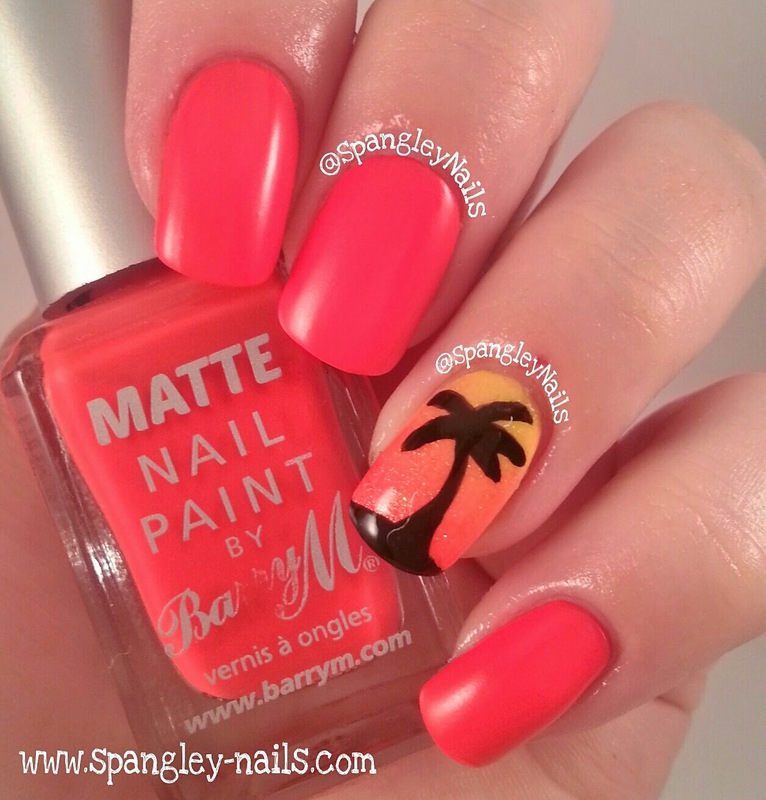 Copacabana is a stunning bright coral red. This is 2 coats, no top coat. 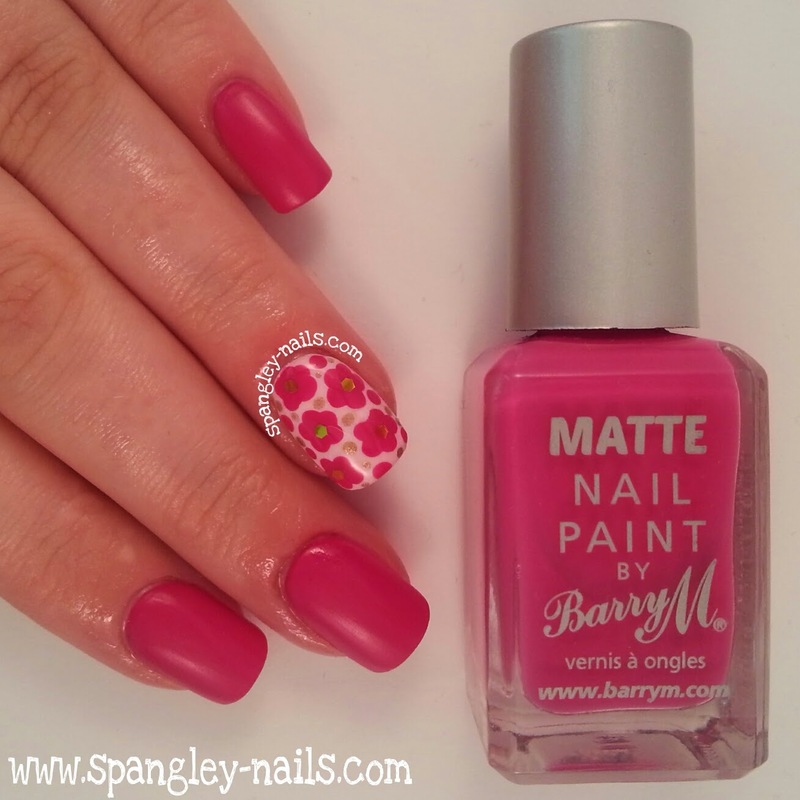 Probably the least "Matte" of the bunch I think but would look amazing on toes!! 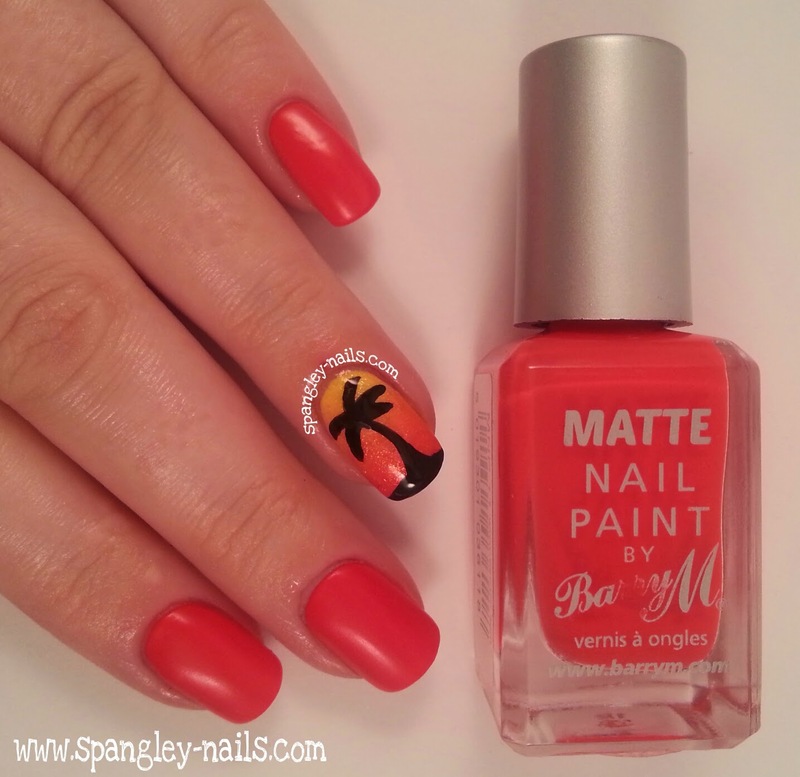 :-) I've done a wee palm tree for the accent nail because I genuinely think this is the perfect "Holiday" red, not too deep and not to light - just right for those summer nights! 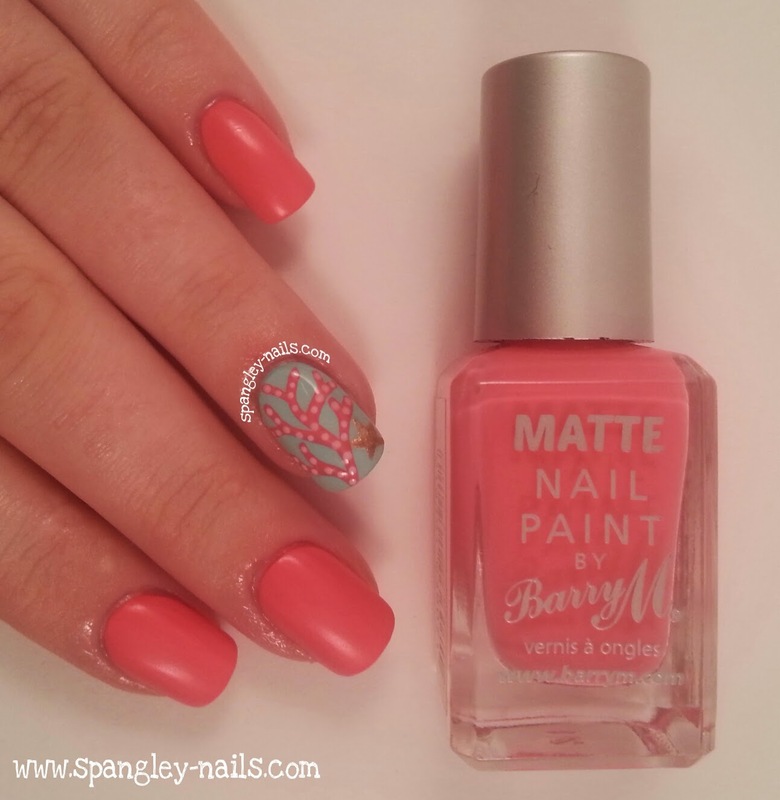 Miami is a fabulous light to coral salmon toned pink. I LOVE it. There are no other colours that are similar to this flamingo pink. It really is beautiful. This is 2 coats, no topcoat. 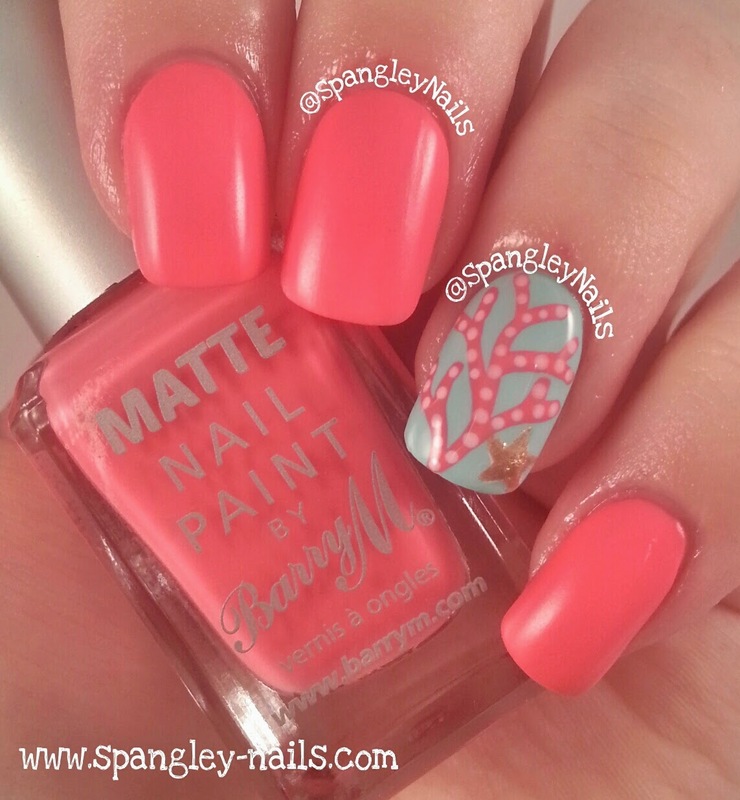 Accent Nail inspired by @lifeisbetterpolished on Instagram. Second to last is Waikiki. Where do I start with Waikiki... When I first saw it, I thought it was the weakest shade of the collection. I looked again and didnt even know what colour to describe it as. But then it hit me, its the perfect Appley-green (Hence the Martini accent). I have no other Greens like this in my collection, and whilst this wasn't an initial favourite, I cant wait to wear it out! This is 2 coats, no topcoat. Last, but by no means least is Rhossili, named after Rhossili Bay in Wales, UK! This gorgeous pink toned purple is 2 coats, no top coat, but probably the one out of the whole collection that I thought I could've got away with one. Formula: Great density and HIGHLY pigmented formula that takes no time at all to dry. With that being said, the polish is in no way thick or thin, its actually the perfect formulation. 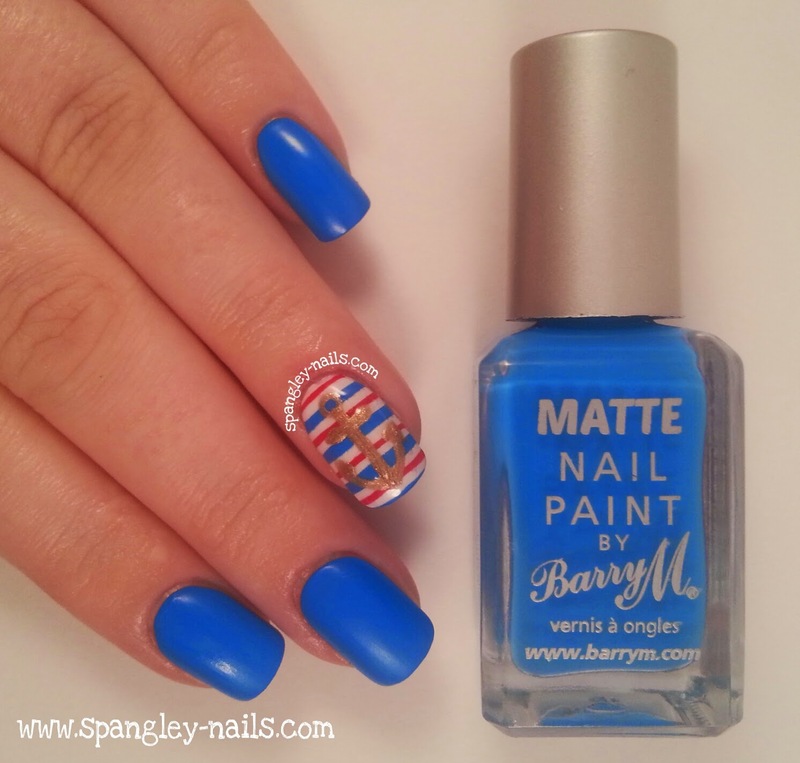 Application: Because of the amazing formula of this polish, some of the colours really only require one coat for an almost perfectly opaque coverage but for the purposes of this review, all pictures shown are 2 coats. 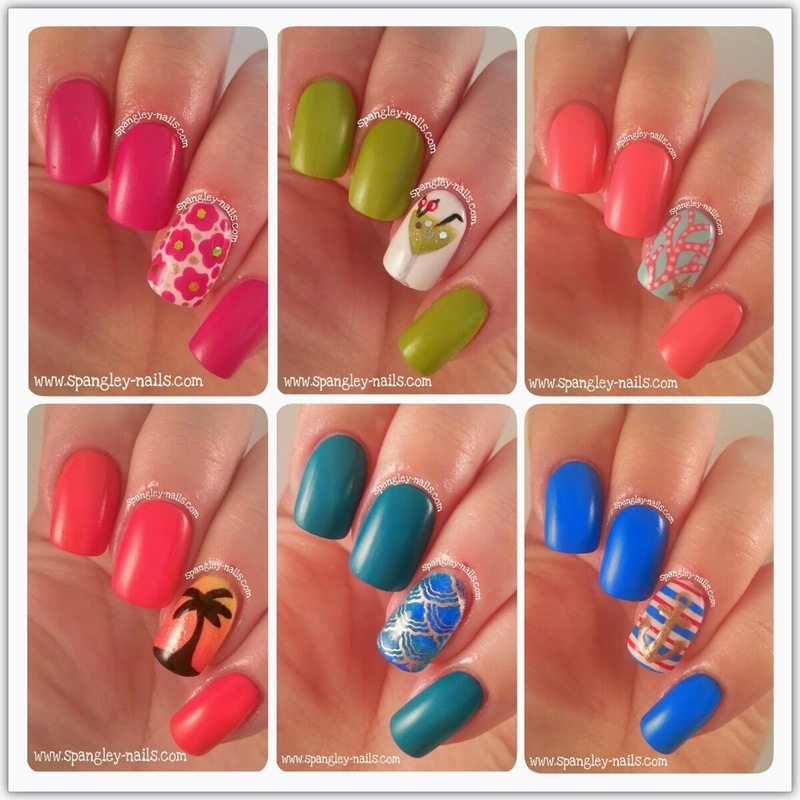 Nail Art: These polishes are excellent colours for Nail Art (as you can see above!) but you need to work super quickly because they dry much quicker than normal polish. Additional Comments: Buy this collection or regret it! 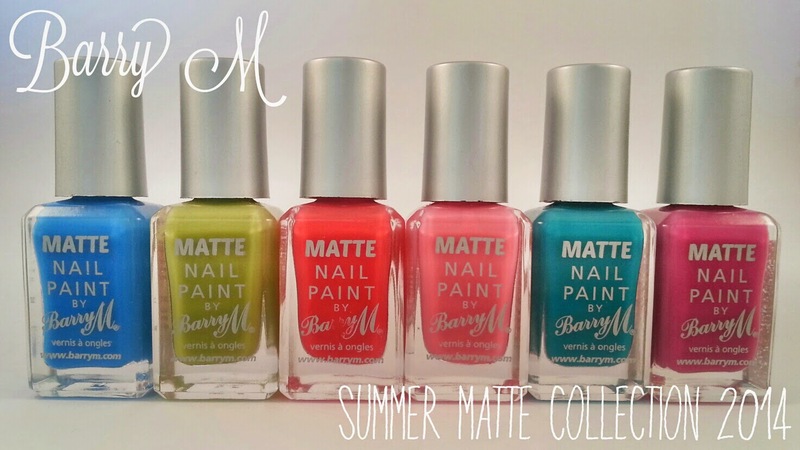 This collection is avaliable NOW in Superdrug, Boots and of course online at the Barry M Website, and retails at £3.99 each.